Hello. We are having a beautiful Nor'easter with fat snowflakes coming down. The ground has been covered with the lovely white blanket snow has often been described as. Of course it is March and close to Spring, but I as always love this snowy weather and the isolation it can create. (yes yes I speak for myself...yes I know lol) I've been writing a good share of poetry these past few days while wrapping up my latest novel to the Child Series Child Game. 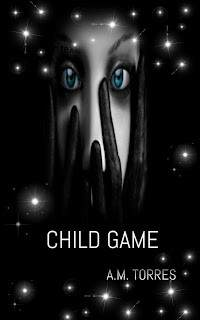 Child Game will be the fourth book of my Child Series. The protagonist of the series Tommy Hulette is lured back to New York when a suicide is committed in his late father's apartment. He learns that his tormentor and half brother Joe Sanchez is released from the prison hospital causing Tommy great concern and distress not only for his family, but for an innocent public. It doesn't take Tommy long to wonder if the suicide in question is linked to Joe in any way especially for its timing. In the meantime Tommy's wife Stephanie is longing to return to New York. The constant travel between Connecticut and New York is getting to her, but Tommy does not want to return to the city that holds his most painful memories. With his brother now a free man only strengths his resolve not to return to the city. Then another suicide occurs...and this one creates horrible repercussions for Tommy and his family. Everything changes, and Tommy can't make sense of anything even as he questions the legitimacy of this suicide as well. Even as his life slowly begins to fall apart.,. This is basically what they synopsis will look like. 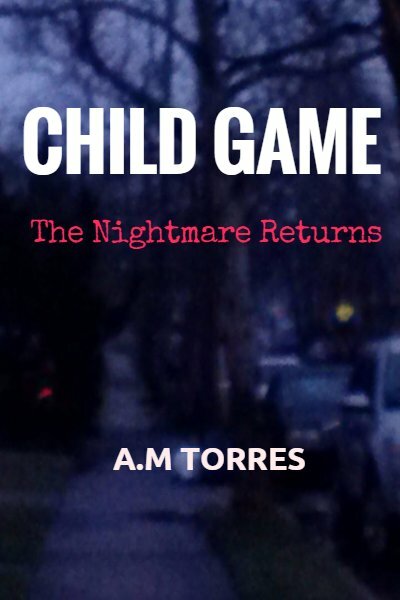 After finding some peace in the suburban woods of Farmington Connecticut a face from Tommy's past comes back in full force to stir things up again. Tommy's nightmare back in full force. What will it take to stop his criminal conniving brother? As we've seen since Love Child Joe the celebrated successful attorney has found ways to keep himself from doing the hard time...Tommy may have to take on the system along with Joe himself. Once again this is Child Game. The three preceding books are Love Child, Child No More, and Child Scorned. All books are available on Amazon and Amazon Kindle.